One of the best things about crochet is that even beginners can make beautiful, functional items. In fact, you only need to learn a few crochet basics (such as slip stitch, crochet chain, and single crochet stitch) in order to be able to make a wide variety of designs. Crochet scarves, blankets, and some shawls are all easy rectangle shapes. They don't require you to know advanced beginner crochet skills like increasing and decreasing. That's why we've included a lot of those, as well as some other fun and easy crochet projects, in this roundup. In addition to the most basic stitches, it helps for beginners to learn half double crochet, double crochet, treble crochet and how to change colors, as well as how to crochet in the round. With those skills, there is almost no end to the items that you can create. Also, don't be deterred from these projects if you are an advanced crocheter. These patterns are perfect for meditative crochet, relaxation, and instant gratification crafting. Start with the basics—single crochet. Work it in rows in the right size and you have a washcloth. This pattern also has a video tutorial to support you along the way. Here is another option for a crochet washcloth. This one is worked with both single crochet and double crochet stitches. Using the same techniques needed for washcloths or dishcloths, you can easily create a crochet kitchen hand towel! This tutorial will help you learn a new stitch, too: pique stitch. 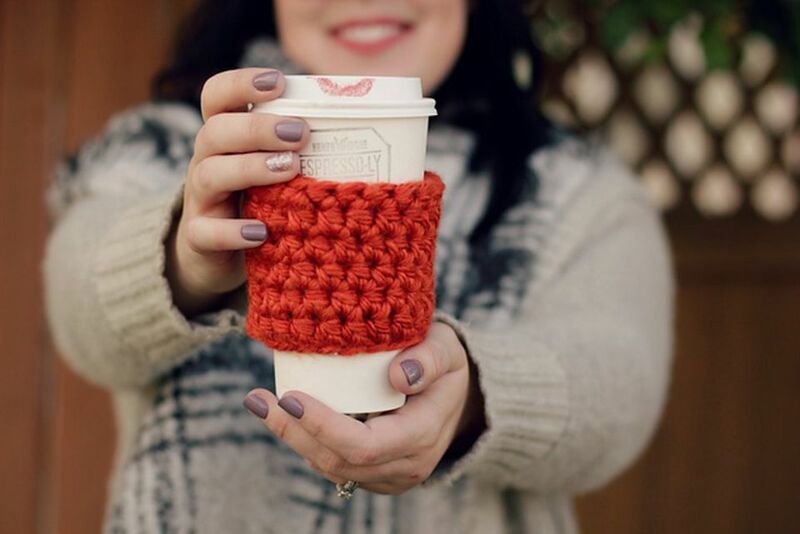 This coffee cozy is designed for beginners. Once you get the hang of it, you should be able to craft one in about 10 minutes. They are a great alternative to recyclable coffee cozies, plus they are a terrific gift idea. Use a simple crochet circle to create a cotton face scrubbie. These are great for removing makeup and washing your face. A set of scrubbies will also make a great gift, especially if you add some special soap to the present. This easy crochet pattern uses single crochet and half double crochet stitches. Gadget cozies, including cell phone cozies and tablet cozies like this one, are basically just rectangles. Work them in simple crochet stitches, seam up the sides to keep the gadget safe, and you have a functional finished project. Learn how to crochet a simple heart with this tutorial. This is a three-round project that works up very quickly. Rounds one and three are just single crochet stitches. The heart shape comes from the strategic combination of half double crochet and double crochet stitches in the middle round. You can use crochet hearts as an applique to add onto other projects. They also make cute ornaments, card decorations, and patches. This crochet purse pattern isn't all that different from a simple gadget cozy pattern. Add a strap and you've got the perfect crochet accessory. Yes, you can create a beautiful crochet blanket even as a beginner! This free pattern is designed using only single crochet and chain stitches. It has terrific texture and it's calming to craft. Plus, you end up with a project that you can be really proud of! Thick double crochet stitches are also the perfect choice for an oversized scarf. Learn how to add some fringe to make this scarf extra special. Infinity scarves are so named because they are loops that go around and around without end. This one is easy to make. It's worked with single crochet, half double crochet, and double crochet stitches. Chain spaces create a mesh-like openwork design. This free pattern includes information to easily adjust the size of the finished scarf. This easy crochet headband works up fast and makes for the perfect last-minute gift. Work this up using a variation of half double crochet. If you know how to treble crochet then you can make these fingerless crochet gloves. Basically, all that you need to do is crochet a rectangle using this basic stitch. Then you sew it up into the shape of a glove, leaving room for a thumb hole. Easy, peasy! This crochet scarf, a unisex design created with men in mind, uses very simple stitches. The only thing that might throw off a beginner is the unique implementation of the slip stitch; it's worked across entire rows for a knit-like style. Since slip stitch isn't often used that way, beginners might have to play around a little to figure out exactly where the stitches go. However, the instructions are clear, and with a little practice, an advanced beginner can tackle this project. If you're new to crochet, then you probably think it will be months, maybe even years, before you are ready to tackle a sweater project. However, that's not true at all. Some sweaters have very simple construction. In fact, this is an easy crochet sweater that a beginner can definitely make. Boot cuffs are a perfect beginner crochet project. These have a ribbed look because they are worked in the back loop only. Other than that, they're just simple single crochet! Instead of boot cuffs, make a whole set of crochet leg warmers. They're just as simple! 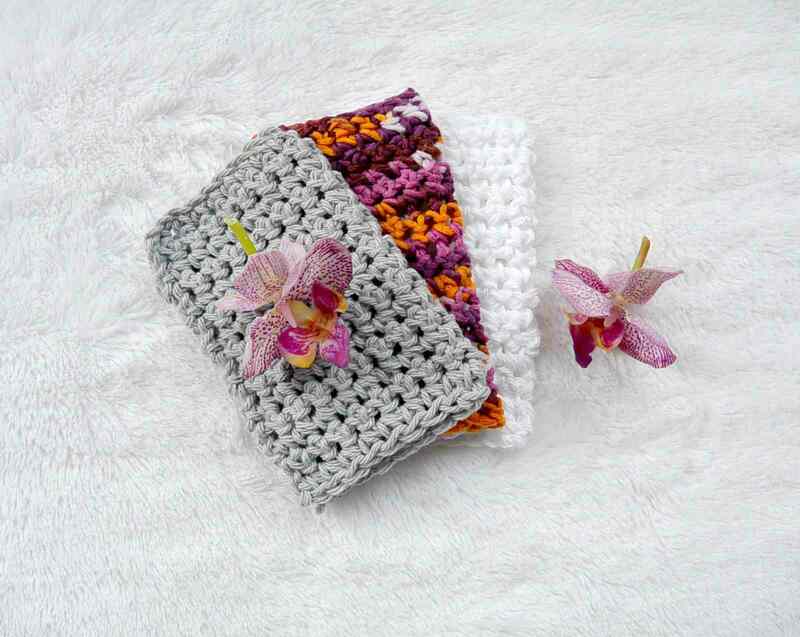 These are made with double crochet stitches. All of that beautiful color comes from color-changing yarn, so you don't have to worry about anything complicated. Combine bulky yarn with a large size Q crochet hook and you get this quick-to-make cowl. This is a super simple crochet scarf worked in half double crochet. Thick yarn and a large hook mean that it works up really fast. A quick color change for the edging elevates the style to the next level. There are a few advanced beginner techniques in this project—for example, working in the third loop of half double crochet. If you're ambitious, though, it's easy enough to take on this project as a newbie. If you can crochet in the round then you can make a basket. This one is a big one, suitable for holding toys or magazines. Oftentimes crochet bunting uses triangles and other motifs that require knowledge of shaping. However, this one is made using rectangles, so it's a beginner-friendly party and decor project. This stitch pattern looks advanced, however, it's made with simple single crochet and double crochet stitches, placed strategically to get the design. It's an easy repeating pattern. The color blocking makes the tote contemporary and fun. The texture on this crochet pillow comes from front post double crochet stitches. Although they are slightly advanced, the accompanying video tutorial is so clear that beginners can feel confident in taking on this project. This is one of the easiest crochet projects ever! These little mug rugs are made just using single crochet. Thick yarn and a large crochet hook give them a nice cushioned texture. Add some fringe and you have the cutest coasters.